A report claims that Juventus sporting director Fabio Paratici has met with the representatives of Lyon midfielder Tanguy Ndombele to discuss a summer move to Turin. A first home defeat of the season for Napoli sees Juventus set a new club record and edge closer to another Serie A title. 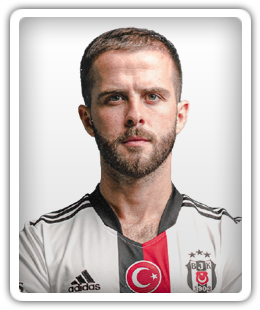 Juventus midfielder Miralem Pjanic suggests that Manchester United and Chelsea were among a number of clubs interested in signing him last summer. Chelsea target Daniele Rugani to be handed new deal? A report claims that Daniele Rugani, strongly linked with a move to Chelsea over the past six months, is close to extending his Juventus contract. Sports Mole provides team news, predicted lineups and a full preview of Saturday's Serie A encounter between Juventus and Parma. Manchester United reportedly decide that they will offload Paul Pogba in January after becoming concerned about his level of influence in the dressing room. Juventus midfielder Miralem Pjanic says that Manchester United's Paul Pogba "would be welcome again" in Turin. Sports Mole looks at how Italian champions Juventus could line up in Saturday's Serie A clash with Genoa. Sports Mole looks at how Juventus could line up for their Champions League Group H clash against Young Boys without the suspended Cristiano Ronaldo. Cristiano Ronaldo makes his home debut for Juventus as the Serie A champions run out 2-0 winners over Lazio at the Allianz Stadium. Juventus announce that midfielder Miralem Pjanic has signed a new five-year contract with the club. Juventus will include Miralem Pjanic in their bid for Manchester United midfielder Paul Pogba this week, according to a report. Juventus are reportedly willing to raise £200m in an effort to re-sign midfielder Paul Pogba from Manchester United.